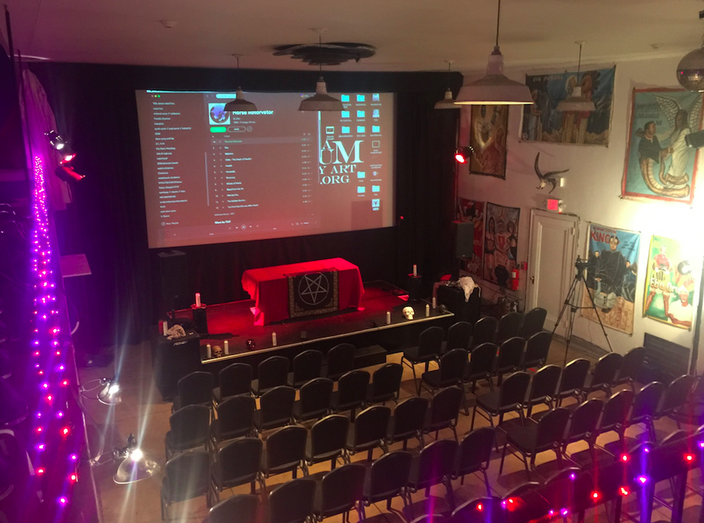 The Philly Satanists are gathering at PhilaMOCA for An Evening with the Satanic Temple on Friday, Oct. 12. A live Black Mass ritual will take place, as well as a screening of the 1922 silent documentary horror film, "Haxan." It’s a sweltering afternoon in late May. A group of mostly 30-somethings are relaxing in the air conditioning at a South Philly bar discussing movies and politics. To the untrained eye, this might look like a normal meet-up, but these 11 strangers aren’t getting together to bond over foreign films or to try speed dating. They’re Satanists. Who are these people? What evils do they have in mind for Philadelphia? “I don't harm animals or other people,” writes Moira Corvid, one of the organizers of Satanic Philadelphia, via email. “I don't want churches to be burned down, and I do not view other religions (or the human beings who participate in them) as a disease or otherwise something to be eradicated. And I don't eat babies. Atheistic…Satanists? How can someone who believes in the absence of God also identify as a Satanist? “In a word, autonomy,” she continues. If you haven’t been paying attention, Satan has been experiencing a bit of a moment. Bands like Ghost promote Satan with their music. Movies like “The Witch” celebrate Satan at the box office. And, led by Salem-based activist organization The Satanic Temple, new Satanic groups are popping up in major cities. Contrary to the beliefs of millions of frustrated parents, it wasn’t a phase -- adults are embracing Satanism in growing numbers. As recently as 2014, the Pew Research Center found that 1.5 percent of Americans now identify with “other” religions, including Paganism, Wicca and, yes, Satanism. Today, these rationalists -- a loose coalition of atheists and humanists -- are claiming the mantle of Satanism to make political statements. They’re creating and joining these groups as a form of protest, to defend reproductive rights and religious freedom. But what separates them from organizations like the ACLU is their flair for theatrics. It's not uncommon to see The Satanic Temple carting a nine-foot idol of the horned deity Baphomet to state capitols to protest attempts by state legislatures at erecting statues of the Ten Commandments. Inside a meeting room of the Philly Satanists. 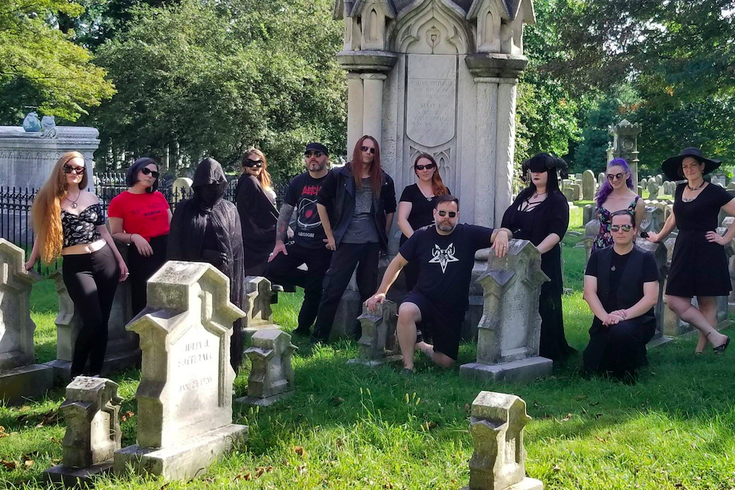 “Perhaps the institutions of secular humanists are a little bit boring and somebody like Lucien Greaves is much more fun,” said Introvigne, referring to one of the founders of The Satanic Temple. Not everyone finds these antics amusing. In response to a Black Mass planned by The Satanic Temple and Satanic Philadelphia for this October at PhilaMOCA, the York-based American Society for the Defense of Tradition, Family and Property created an online petition asking the venue (and Mayor Jim Kenney) to cancel the event. Jack Burnham, a member of the Catholic organization, created the petition because the group, in his words, “opposes the mainstreaming of Satanism.” While he won’t protest the event in person, Burnham said he intends to contact the mayor’s office once the petition reaches its goal of 40,000 signatures.